We had a visit from FEMA today (Friday), and I got sidetracked afterward with a Yu-Gi-Oh! session. In any event, here’s another E3 inspired rand()thoughts special! That’s right, the Marvel Universe and the heroes of Toei Company clash in this classic 2D fighter. 32 fighters total, 16 on each side [after all fighters are unlocked 😉 ]. I’m going to break this down into two groups of eight, the “Staples” and the “Depth Charters.” “Staples” are the eight characters that need no justification for their inclusion; their popularity, importance to their respective companies, and fighting styles make them worthy of being playable. “Depth Charters” are characters that add options to the mix; these characters offer varied play styles, easter egg potential, and are just plain cool. 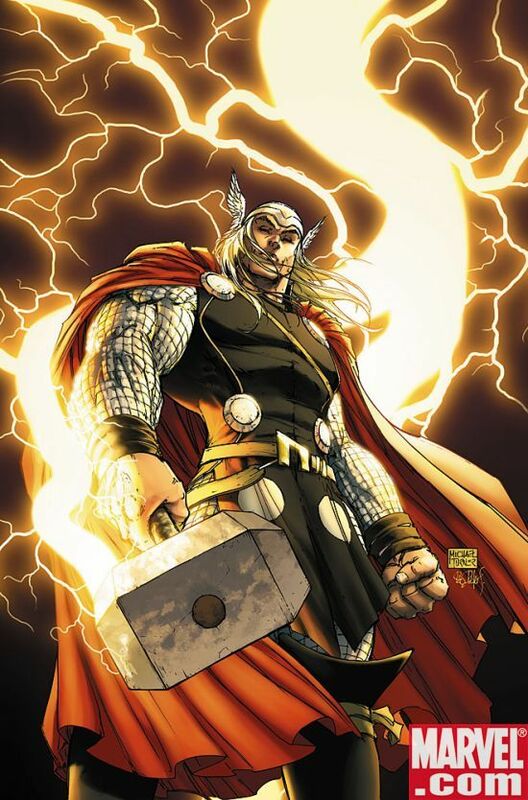 Thor – Simple, he’s never been a playable character in a Vs. title. This fixes that mistake. 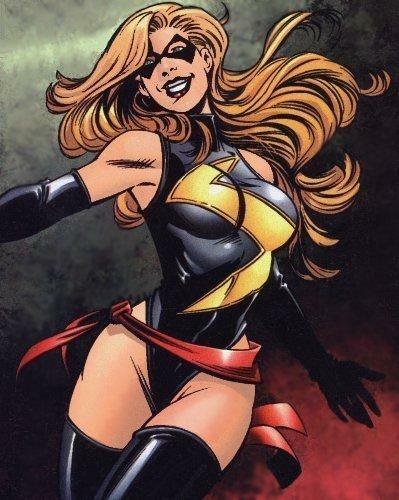 Ms. Marvel – Now that Rouge has her powers under control, Carol Danvers takes over as Marvel’s resident lady-tank. Her ability to fly gives her an advantage in the aerial game. Chameleon – Team Marvel’s answer to Team Toei’s 7-Color Mask. He can impersonate any fighter he wants, and in so doing, utilize portions of their move sets (except specials). 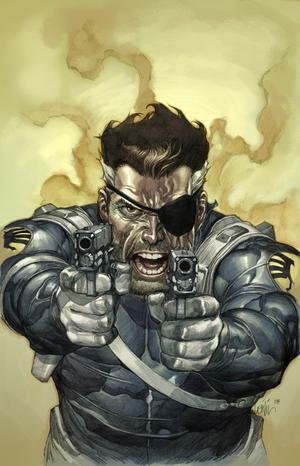 Nick Fury – As former head of S.H.I.E.L.D. and leader of the Secret Warriors, Fury is a skilled unarmed combatant, but he isn’t opposed to blasting opponents in the face with arms either. 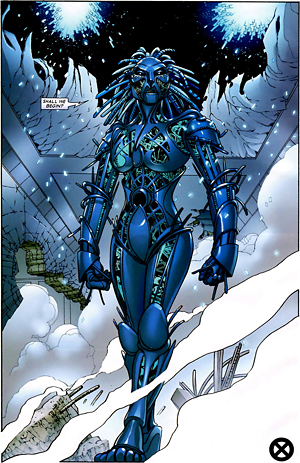 Danger – A technological variant of Venom, she is the only combatant with true “home-field advantage” on her own stage, the Danger Room. 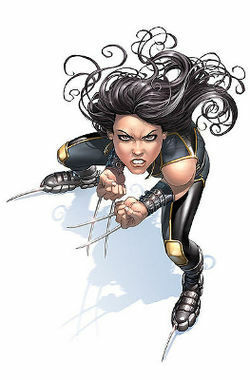 X-23 – As a genetic clone, Laura is a smaller, less powerful version of Wolverine. She is also younger; her healing factor kicks in faster and she is much quicker, able to land more strikes to dish out more damage. Classic Sentinel – These mutant-hunting drones come equipped with pulse beams, lasers, missiles and other projectile weaponry, and mutant detection capabilities. They are large, durable, and are also capable of flight. 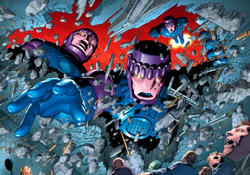 Galactus – The Eater of Worlds, this demigod is a massive destructive force. 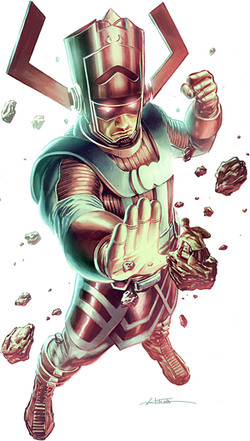 Switch out Galactus for Thanos. Works well enough for fitting that spot, and he actually fits on the screen.